In addition to its work around the globe, World Relief has been chosen by the United States government to be one of the organizations to sponsor legal refugee settlement into the US. 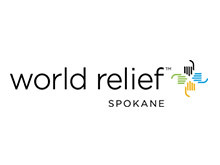 The World Relief Spokane office welcomes hundreds of refugees from all of the world to the Spokane area each year. IntelliTect is excited to support World Relief Spokane’s efforts to help these refugees find a safe place to live, get a job that suits their talents, improve their language skills and legally gain US citizenship if they desire. We help sponsor the Matching Grant program which offers loans to qualifying refugees in order to help them become self-sufficient within six months of their arrival in Spokane. This program is more than 90% successful in achieving this goal. More importantly, the City of Spokane, Washington State and the Federal Government have saved millions of dollars in support for these new US residents. We believe investing in these refugees benefits everyone involved and we are privileged to be part of their experience here in the US. In addition to financial support, IntelliTect employees have hosted immigrant families for the first few days or weeks after their arrival in Spokane. We have hosted families from Cuba, Rwanda and Afghanistan. Each time, the families included incredible people with remarkable stories of bravery and courage.